Reading strengthened their Championship play-offs chances with a comfortable 3-1 victory over lowly Blackburn. Two headers from French striker Yann Kermorgant, taking his goal tally for the season to 13, gave Reading a 2-0 lead at half-time. Relegation-threatened Blackburn rallied after the interval and Elliott Bennett gave them hope when making it 2-1 13 minutes from time. But Reading responded almost immediately when Garath McCleary drove home to settle the outcome. Reading had won 10 of their 13 previous home matches and not lost in seven at Madejski Stadium. Successive victories against play-offs rivals Sheffield Wednesday and Leeds United had seen them climb into fourth place. New Blackburn head coach Tony Mowbray had enjoyed a seven-match unbeaten run since he replaced Owen Coyle in February. 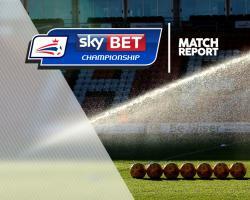 But that ended in the 1-0 defeat at Brighton on Saturday, Rovers' fifth game in a row without a win. Matters began badly for Blackburn, with defender Charlie Mulgrew taken off on a stretcher in only the 10th minute due to injury, with Tommie Hoban replacing him. It seemed to unnerve them, and within four minutes, they were behind. Tyler Blackett crossed from the left flank and Kermorgant, outjumping Hoban, rose high at the far post to nod home. Rovers goalkeeper Jason Steele got a hand to the ball, but the power carried it past him, Kermorgant scoring for the third successive game. Blackburn replied when Bennett found space on the right wing, but, after cutting inside, he tried an ambitious long-range effort that sailed over the crossbar. Reading soon regained control, with Roy Beerens and Adrian Popa shooting wildly off target. But they extended their lead in the 29th minute when John Swift crossed from the left and Kermorgant netted with another powerful header - this time at the near post - for his 13th goal of the campaign. Sam Gallagher thought that he had reduced the deficit in first-half stoppage time when he nodded in Craig Conway's free-kick, but it was disallowed for offside. Blackburn improved after the break, with Lucas Joao shooting wide and fellow substitute Marvin Emnes also going close. Gallagher went even closer when connecting from close range, but home keeper Ali Al Habsi tipped the ball on to a post and away to safety. Liam Kelly narrowly missed with a well-struck 20-yard attempt for Reading, but Blackburn were dominating the exchanges. In a frantic finish, Bennett reduced the gap when drilling in from 20 yards in the 77th minute. But Reading regained their two-goal advantage and secured victory one minute later when substitute McCleary scored with a similar shot from similar distance.